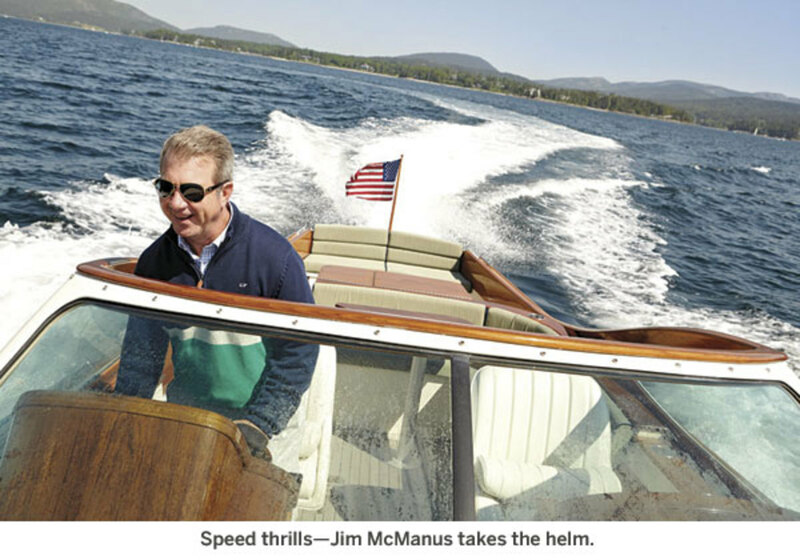 For his next boat, Hinckley’s president and CEO Jim McManus went looking for a boat with a nice turn of speed that he could also cruise. He ended up getting Lucky. When all you do all day long is think about and talk about boats while being surrounded by boats, you’re going to get some ideas in your head. 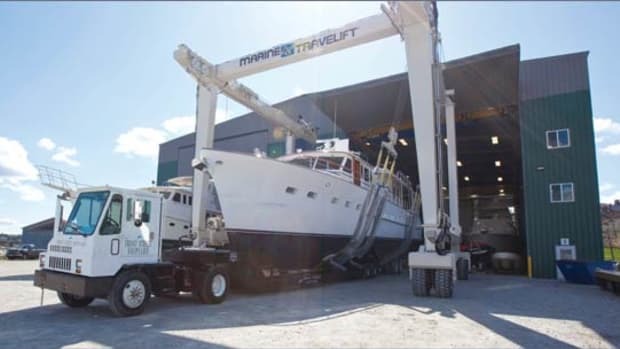 That’s what happened to Jim McManus, president and CEO of Hinckley Yachts, who had his eye caught by a Talaria 44 built in 2001 that had been kept on the hard at the company’s Portsmouth, Rhode Island, yard. “I loved the color of the boat,” McManus says. 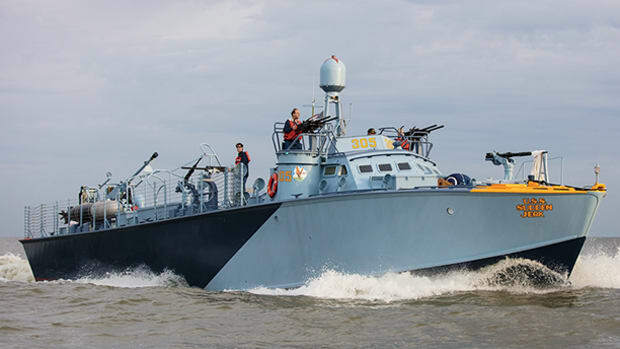 “That’s what initially attracted me to her, and I just love our 44s.” The boat had been stored for a few years without being splashed, which led McManus to believe she might be available. “I actually just randomly ran into the owner of the boat at the Palm Beach Boat Show and inquired about whether or not he was going to use it,” McManus says. 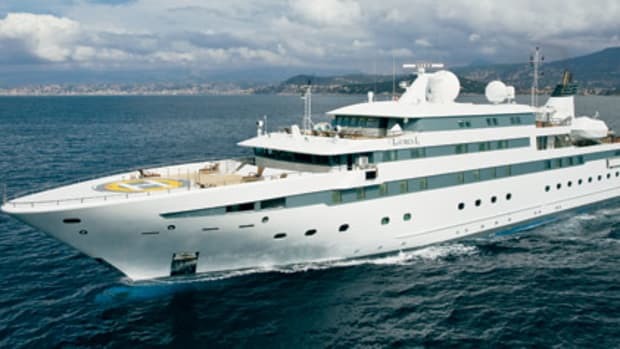 “And if he wasn’t I said, ‘I have the perfect owner, and it’s me.’ He said that his lifestyle had changed, and he was looking for a smaller boat. We literally agreed on the price right then. It was probably a 15-minute conversation.” Now keep in mind, McManus had a leg up that most used-boat buyers don’t. For one thing, he knew the build, having led the company that built the boat for the better part of 7 years. And then, he’d seen the modifications to the model that were made in terms of design and engineering, and also knew the hows and whys that went into those decisions. So to put it simply, he knew the advantages and disadvantages of buying that particular boat in that particular vintage. is ready for a hearty welcome aboard. 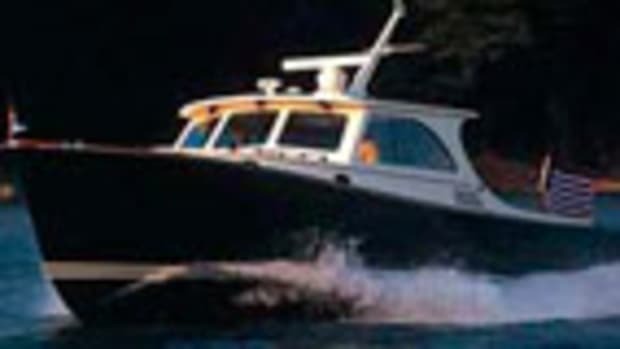 Now that he owned this Talaria 44, McManus needed to hatch a plan for what he would do with her. Would he run her for a season just as she was? Maybe he would take care of some cosmetics and up the comfort level. Or would it make sense to dive into a deeper project? “As I evaluated what I wanted to do, it was at the same time that we were seriously considering FPT [Fiat Powertrain Technologies] as engine alternatives for the company,” McManus says. “I like to go fast. The boat had a 26-knot cruise. 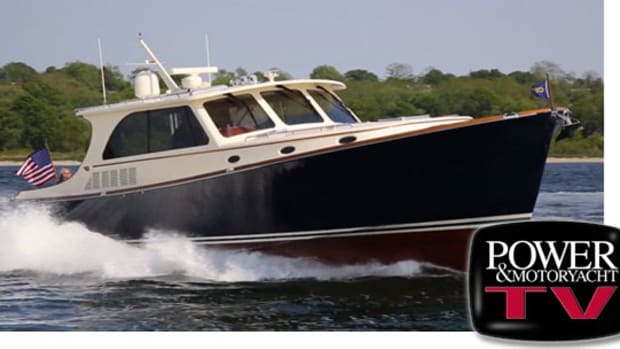 But the thought of being able to blast from Hyannis to Nantucket or the Vineyard in less than half an hour at a 32-knot cruise was just awesome for me. That was kind of step one, let’s put on Lucky what we think is going to be our best going forward. 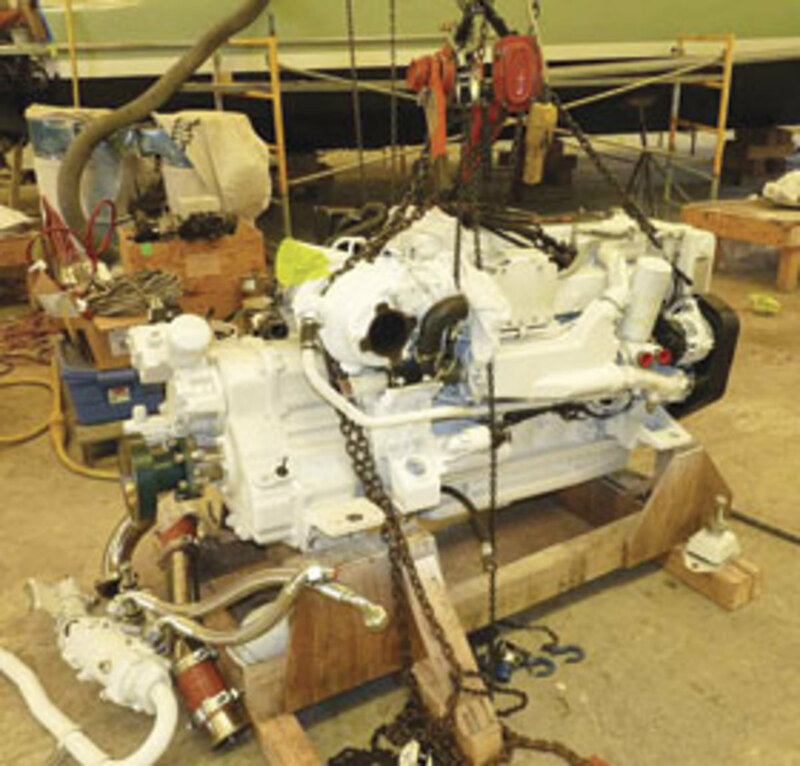 And so we started with FPT engines.” Replacing the original 440-horsepower Yanmar 6LY2M-STE diesels with 570-horsepower FPT N67s meant a significant jump in how fast she’d gallop, but the new engines fit within the footprints of the previous engines so substantial structural changes were not required. But there were still some problems to work through. 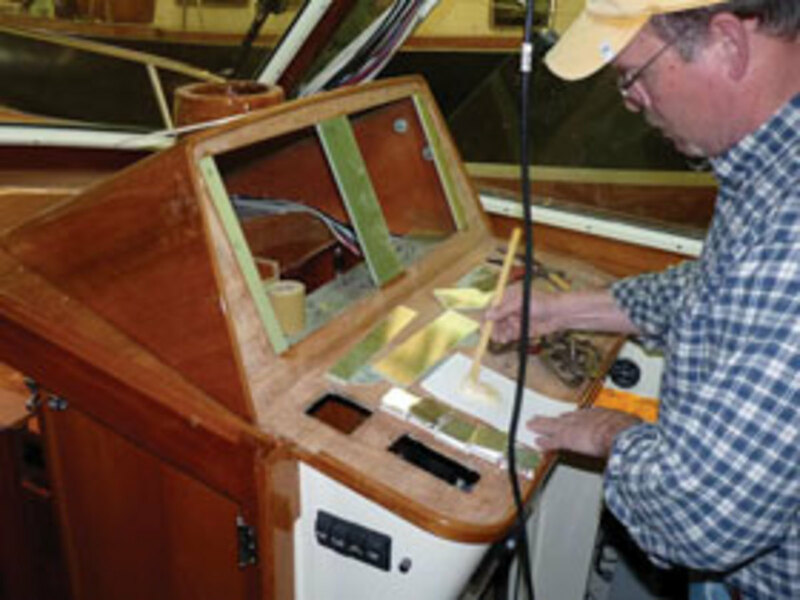 The helm refit saw the dash prepared for a pair of Raymarine gS165 multifunction displays. 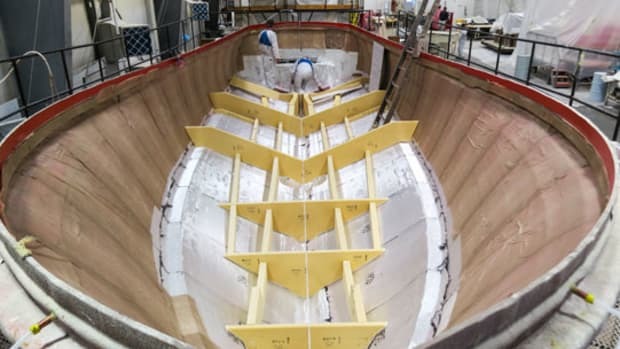 The team in Maine had first crack at seeing what she could do once the project was complete. 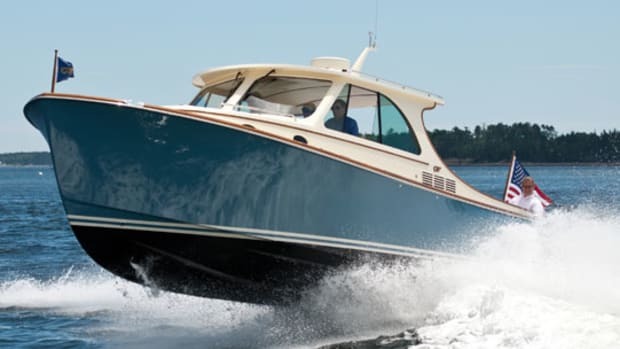 “Most of our sea-trial crew are used to getting on a 44, and sure you push the throttles down and the jets have a nice acceleration,” Fitzpatrick says. “But out of the hole, with the jump on the FPT 570 package, we were seeing an ear-to-ear grin. It’s not like you glide up on plane—you jump up on plane.” McManus cites a cruise-speed increase of 5 knots and a top speed of 33 knots. 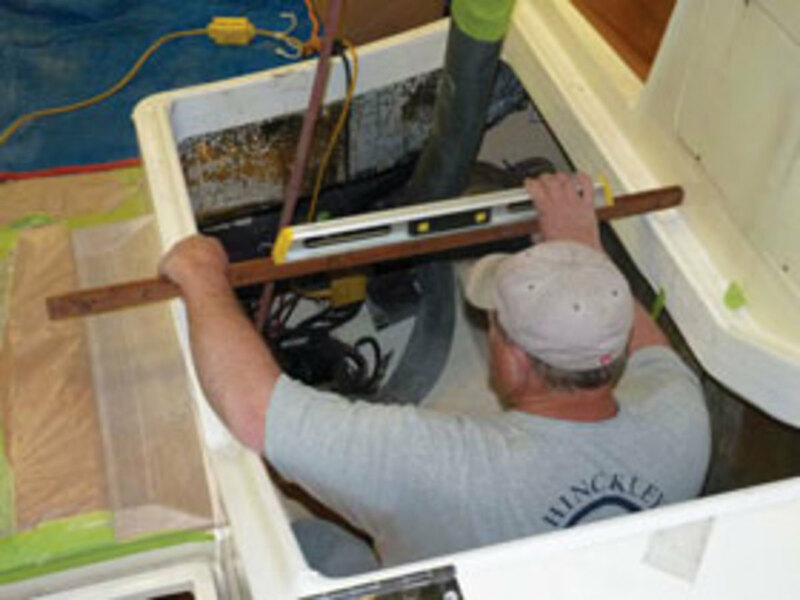 The new engines made the most of the boat’s existing mechanical spaces. That kind of horsepower and responsive throttle needs to be controlled. McManus opted for Hinckley’s JetStick2 system, which incorporates station keeping and heading keeping as well as simple maneuvering around the dock. Digging into the control system let the crew see how all the systems had held up. 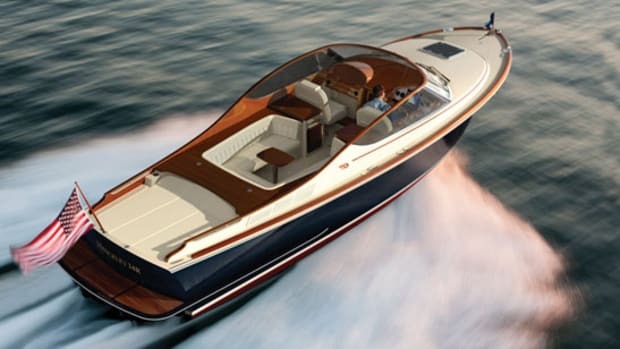 The helm also was reborn with a brand-new navigation system. “We put the latest and greatest electronics, the glass-bridge Raymarine touchscreens, which are incredibly fast,” McManus says. “We have Raymarine gS-Series displays, they’re great, they’re so responsive, and I also have a FLIR system on the boat as well.” The FLIR thermal-imaging system works with the Raymarine system seamlessly. But the refit was not just about new technology. “As I said, I love the color so we didn’t paint the boat,” McManus says. 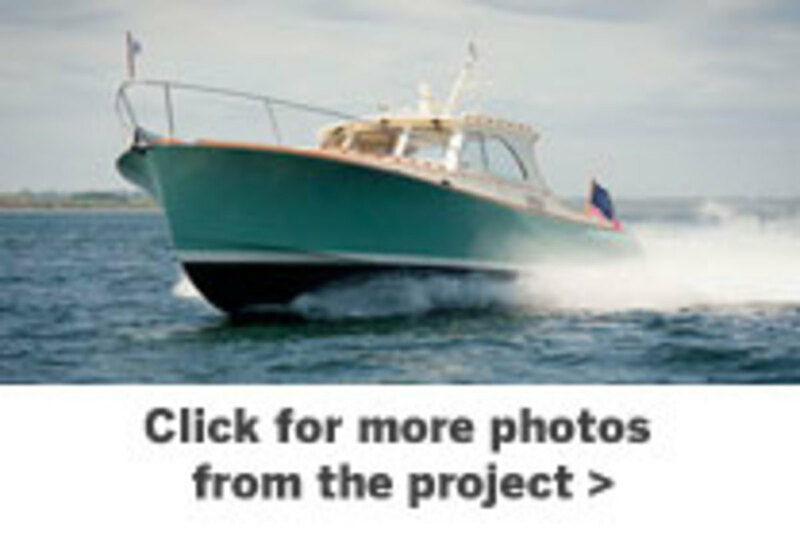 “But I put a teak transom on which I thought would be a great contrast to the color of the boat. 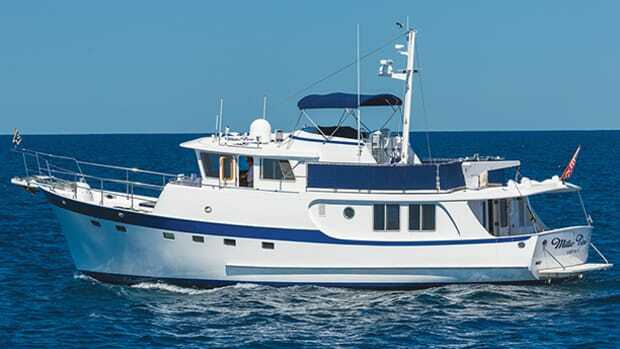 We redid all the soft goods, my wife and I had a blast working with our team up in Maine picking out new fabrics and pillows and all of that good stuff.” McManus didn’t see the need to make any structural changes: He was happy with the split shower and head, the galley, and the roomy stateroom forward.